The buildup of chemical deposits in your drain pipes can cause corrosion, as well as backups. If you have your pipes routinely cleaned by AZPP, you can stop these problems from happening in the first place. We can extend the life of your existing pipes. With more than 20 years of experience, we proudly serve Mesa, Arizona, and the surrounding area. We are committed to giving you the highest quality of pipe lining repair that's available at an affordable price. 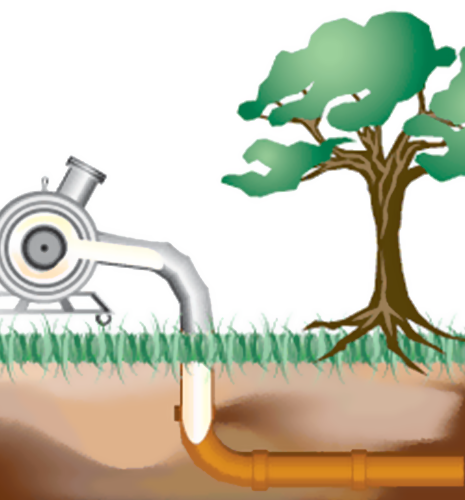 Our pipe lining saves you money, time, and your property's structure or landscape! View our videos and photos to see how AZPP can repair your pipes for your home or business. The process starts with a camera inspection using our HD CCTV cameras. After a complete analysis has been discussed, our certified team will show up at the job site with the necessary equipment, as well as answers to any additional questions that you may have. The pipe lining repair process starts by entering the broken sewer pipe from an existing opening in the pipe with our Air Inversion Unit. An example of an existing opening in the pipe would be a cleanout from your property or a manhole in the street. Next, an epoxy liner is rolled into our Air Inversion Unit and connected to air pressure before it unravels and inverts through the broken sewer pipe internally. The liner expands and hardens, forming a "new pipe within a pipe." AZPP can fix your leaking pipe – no matter the type, size, or length. Not only is pipe lining environmentally friendly, but it's also very strong, which is why we offer a lifetime warranty on our trenchless lining services! At a time that's convenient to you, our certified camera and cleaning technicians arrive at your home or business to inspect what is causing the problem. During the pipe inspection process, we can show you the broken pipe on our HD camera screen and explain how your pipe became damaged. Tree root damage, old, corroded pipes, and offset joints are all visually detectable with our camera inspection. We also provide a precise measurement of the cracked pipe or missing portion. AZPP offers camera inspections throughout Arizona, and our inspections are free with each sewer cleaning. After the sewer inspection is complete, we will provide an effective sewer pipe cleaning service that comes with a three-month warranty. A simple cleaning is all that your sewer pipe may need. Our high-powered hydro jetters can spray off corrosion and wash away debris. We also have the strongest and most versatile snake machine on the market, and it can tear through even the thickest of tree roots. Our pipe cleaning machine with variable speed can clean and descale pipe from 1/2" to 36' up to 200' in length, and it will go around 90-degree bends. If cleaning the pipe won't be enough for an efficient flow, then we have two forms of trenchless technology that can repair your pipe without digging. Internal pipe coating and pipe lining both have unique benefits that guarantee a long-lasting pipe – no matter your budget.